My apologies, I haven’t had the ability to be very creative lately. Don’t get me wrong, the ambition is there and I’m still thinking about my newest project on an hourly basis but the stars haven’t alined properly for me to do so. 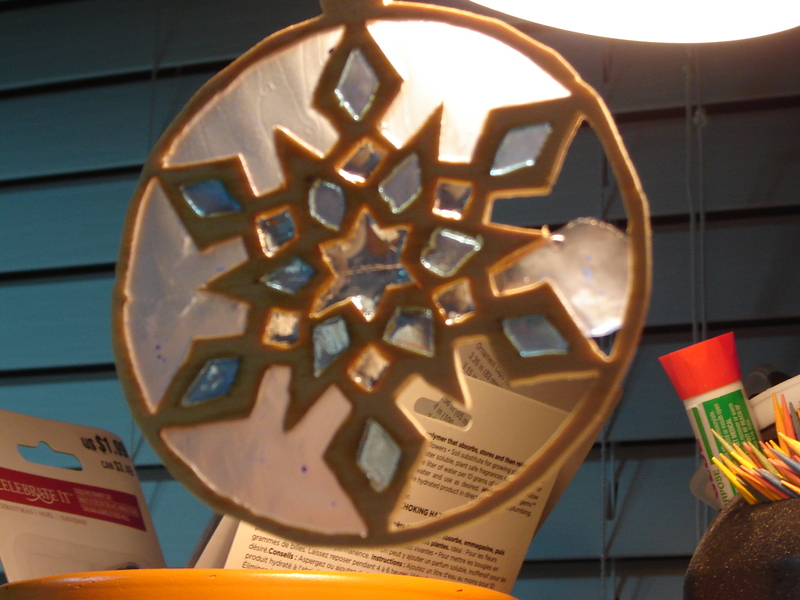 Shortly after finishing my last project, I started another one (a different style of snowflake ornament) in order to try and expand a color pallet for the inlay. However…it was really cold! Unbearably cold actually! It was impossible to be comfortable enough in my workshop to put in any time at my scroll saw. That lasted for few weeks. Once the clouds were parting on the arctic blast around here, I felt the pull towards the workshop again. But alas…we got a blizzard here on Cape Cod last weekend! I hadn’t been in a blizzard for a really long time so I’d forgotten how frustrating they could be. The 1 1/2 feet of snow was frustrating enough along with the limited mobility (even though my husband and I both have 4-wheel drives) but losing power for 2 1/2 days was massively annoying! Granted, we did better than most; we had heat, hot water, radio and light (in a limited capacity) due to the generator. So many people had to leave their homes because they had nothing. We even had one evening where we ran an extension cord from the bathroom, into the living room, in order to watch the movie “Army of Darkness” on my laptop with long retired speakers (I’m not even sure where they came from, only that I still had them) while cooking Ramon noodles in an old pan on the woodburning stove. It wasn’t an ideal evening but we were cozy. Anyway, the power returned and life went back to normal again so I’m hoping to get some saw time in this weekend. I’ve been experimenting with different mediums to color resin with and I think I may be onto something. Hopefully, I’ll have another entry coming soon. I did it!!! My vision is a reality!!!! So, maybe I’m overreacting a bit but I’m completely ecstatic about what transpired for me today…allow me to explain. I explained in my last entry that my hubby had given me a scroll saw this past Christmas. After much frustration (the people that scroll saw the signs at county fairs make it look incredibly easy! 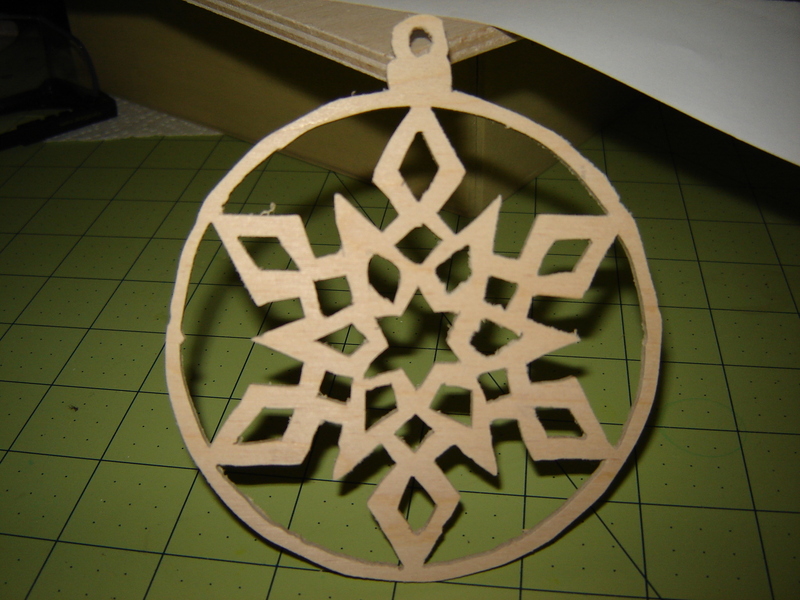 ), I finally produced a completely jacked-up snow flake Christmas ornament. Yea, it’s horrible…I know it. It frustrates me that I didn’t do better at scroll sawing on the first attempt (normally, I can pick things up with little effort…not this time) but, I had to start somewhere. I’m going to have to practice in order to take this further but it’s so worth it after what I was able to accomplish today! 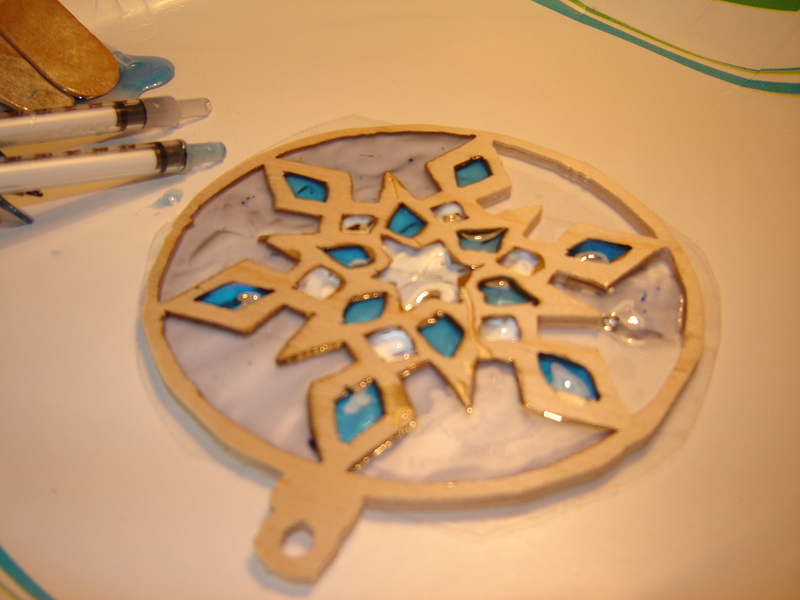 After I took this picture, I put clear packaging tape on the back side (the worst side, actually…) and burnished it down so the resin wouldn’t leak out when I poured it. Then I placed it on a paper plate with the tape on the bottom leaving the top open. Then I mixed the clear resin and tinted it with oil pigment and poured it into the openings. the resin is still wet and incredibly stinky!!! So I mixed, and I poured…and I stunk up the house with noxious fumes. In this picture you can barely see the tape peaking out of the parameter of the ornament but that’s the only thing keeping the resin from pouring our all over the place. 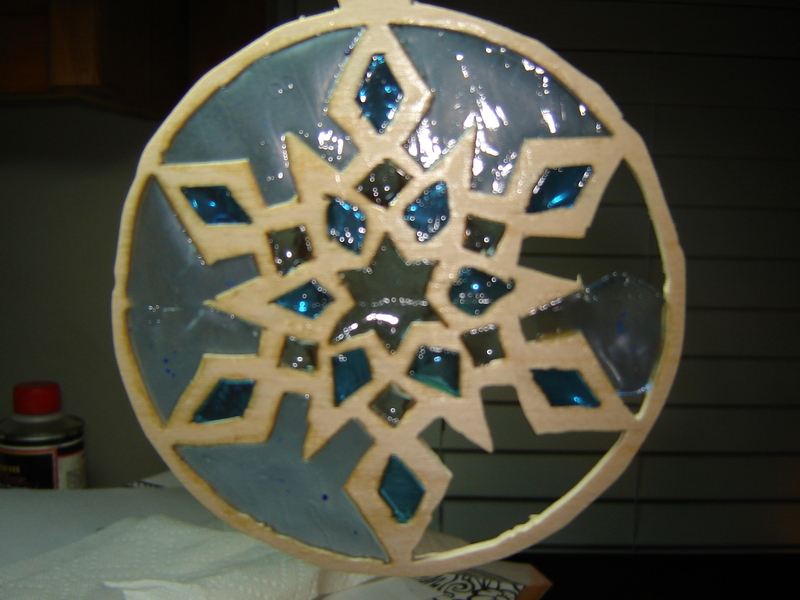 In very simple terms, I’m trying to create a sun catcher (even though my end product is going to be much more elaborate) because I want to be able to back light the resin to make a stained glass effect. Well…it worked!!!!!!!!! the ornament holding onto the resin without a tape backing!! I put a fairly high ratio of hardener into the resin in order to get a really solid cure so after about 2 hours (it takes about 24 to completely cure) I carefully removed the tape backing to see if the inlay would fall out and it didn’t. Sometimes the resin shrinks when it cures but so far so good. I also wanted to be sure that I could maintain an element of transparency (necessary in order to be able to have the desired effect in the final project…this was only an experiment) and the transparency remained! I kept two of the sections open as a comparison to the filled sections to see if there would be a notable difference (I was only going to leave one section open but I ran out of the opaque blue and didn’t want to mix any more…the fumes are intense) and there was an obvious difference. In closing, I’m blissfully happy about the results! There are still a few bugs to work out (most notably my complete lack of skill in using a scroll saw at this time…) but I think I’m getting closer to being able to create a “stained glass effect” inlay in wood. It just dawned on me, as I sit at the computer drinking my morning coffee and trying to wake up, the things I enjoy seemed to have taken a back seat to factors of my life that are necessary. I make lists in order to make it through my life somewhat organized. The lists contain bullet statements to remind me of what I need to do once my “stage one” activities take place. What are the stages that rule my life?? STAGE ONE: work and sleep; the things that I have to do in order to exist with some level of comfort in this life but leave very little wiggle room for extra activities or accomplishments. No list required in this stage. STAGE TWO: necessary things that can be put off for a little while but not for long. These items include house cleaning, grocery store visit and going to the dump. Depending on how hectic work is, this can also be an elective category for a list. Sometimes if I create a list for this category, there are spaces in time created for an element of creativity but normally STAGE THREE items find their way in. STAGE THREE: necessary things that can be put off for a while but not forever. These things include cleaning fish tanks in the house (we’ve got three), giving dogs hair cuts (again we have three and accomplishing this in a timely manner cuts down on hours of having to chase dog fur balls around the house with a vacuum), weeding the garden and general household organization. This category also requires a list because I never know when I have an extra window of time available to take care of these things and I have a horrible memory so a list is handy. STAGE FOUR: this category contains the things I actually enjoy doing but sadly find their way to the bottom. Crafting, creating, going to craft stores, putting in a good movie and just finishing a project that was started months ago…writing a blog entry (I’m breaking protocol today because a dog fur ball just went scooting across the hallway floor…) These items don’t have a list because there’s only about 5% of my time that I can give to them and I only address what will make me happiest at that particular moment. So, here’s my quandary…life seems to have taken over my creative side. I’ve tried to make STAGES 1-3 as efficient as possible but I seem to get really tired when I’m done with what needs to be done. Sort of makes me sad sometimes but I guess that’s better than feeling guilty. The sad thing is that I have an incredible husband that’s very helpful around the house but there are always lists to be made and crossed off every day. Yes, I know…I’ve been neglecting my blog horribly. I actually stepped away from it completely for about a year. It’s kind of strange because, with what little free time I have, I’ve actually been experimenting with new crafts lately. I’m surprised that I haven’t been updating more. After being away from my blog for so long I’ve discovered something rather interesting; somehow my blog got 3000+ views while I was away and I wasn’t even trying! The second rather interesting thing I’ve discovered was that the Internet isn’t nearly as random as one hopes; you actually have to line yourself up to be seen. I bought this book about keyword SEO and have been applying it to this blog as sort of an experiment. The third interesting this that I’ve discovered is that I’ve dragged my feet long enough when it comes to establishing my on line presents with my “crafting”. Many times I’ve been told that my goods are worthy of sales on line and since I’m absolutely running out of room…it’s time. I’ve been reading up on how to open a store on Etsy so the story shall continue. Anyway, I’m curious how my experiment goes with the SEO…very curious as to if it’s going to make a difference. So this past Christmas, my Hubby gave me the most amazing present I think I’ve ever gotten; a work bench in my craft room!! Craftsman to be exact! It’s got the awesome magnifier light and the comfy swivel seat that has the footrest bar along the bottom. The best part is that there are bunch of drawers along the side that I absolutely love!! Anyway, this is another box that looked absolutely beautiful without the color added to it. I was pleasantly surprised when I was finished and it seemed to work out. 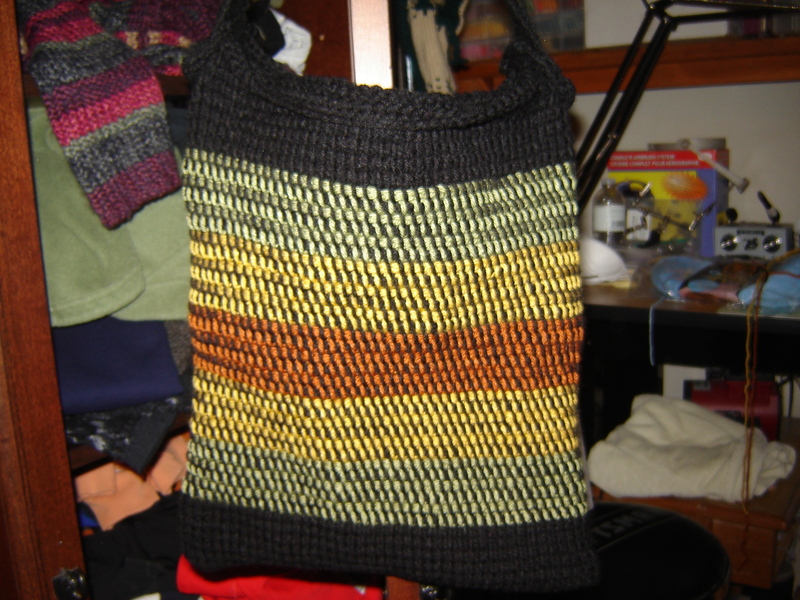 I wanted the color to stand out with bold colors and then the outside “leaves” to be more subdued. I think it worked out pretty well. I know I haven’t posted in a while. Between work and sort of being on a knitting kick lately, I finally sat down and did a few more jewelry boxes with the wood burning and paint. I actually did this one a few months ago. 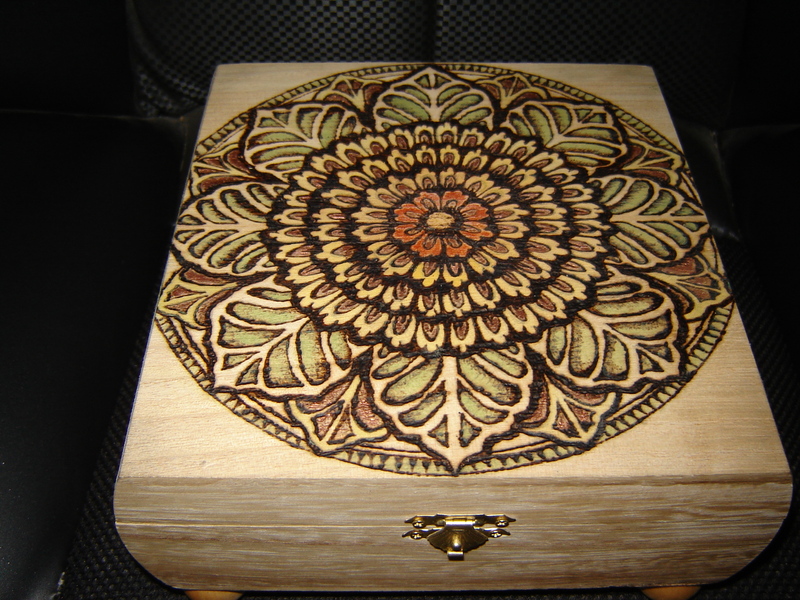 After I finished wood burning the image onto the box, I was almost tempted not to paint it. However, I found that there is an amazing assortment of metallic paints that are readily available at my local craft store (yep, Michaels) and once I really started looking at the shelves and shelves of different paint, there is quite the variety available. After randomly selecting the colors, as they felt right, I painted. The only thing I’m disappointed with is that I’m having a really hard time getting the picture quality I like. It’s very hard to see the metallic effects from this one. I’ll actually try again when I seal it and see if it helps. First off….WOW!!! The response to my lost blog entry was unbelievable!! Who would have thought that eggs would be so interesting? I’m still thinking that I need to start working on another one sometime soon but since I’m still working the night shift, it’s out of the question; way to noisy. This is a “quiet” project that I’ve recently done. My niece (my clone, actually…) has a birthday coming up this month and I thought she’d like it. We have a little thing that we do since I live here on Cape Cod and she lives in Michigan…we actually write letters to each other!! No, not emails or tweets or Facebook entries…write with a writing instrument and paper. When I get a letter from her, I normally send her some homemade little jewelry thing, mostly necklaces. So I figured that she needed a box to put them in. I showed my sister (her Mom) these pics and she decided that she wanted it instead. Ummm…no. I’m making one for her too. That will probably be the next entry. First off, I think I need to explain something. I absolutely LOVE the Michael’s craft store!! There are two of them sort of close to where I live (but they’re bringing one to Hyannis this summer so I’m very happy) and I go there whenever I can. 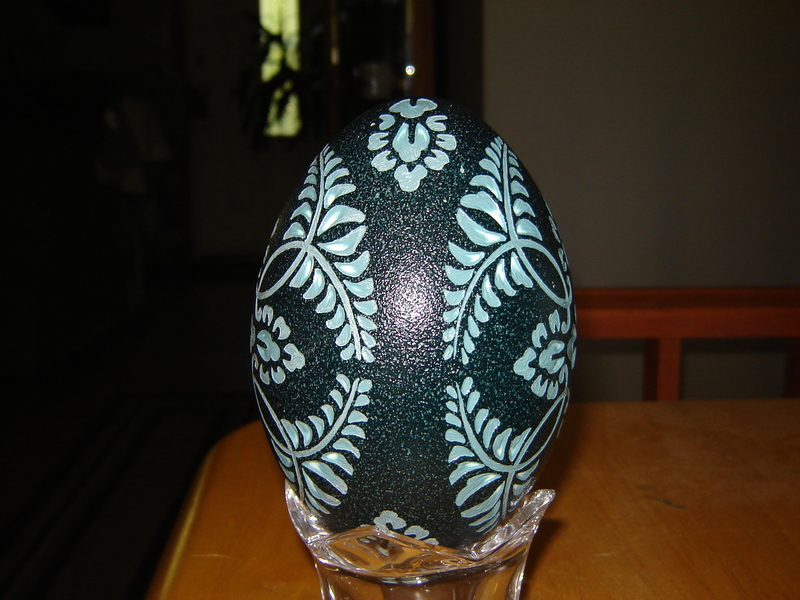 There are two places that I normally get my craft supplies; Ebay, if it’s for eggs and Michael’s if it’s for everything else. This box falls into the “everything else” category. 1. Go to Michael’s, in the unfinished wood section, and buy a box. They come in all shapes and sizes. Some even have the hinges and closures already there (like this one). The best part is that they are very inexpensive (I think I paid 3 dollars for this one) and the possibilities are endless with a little imagination. 2. Find some clip art that you like and trace it onto tracing paper. 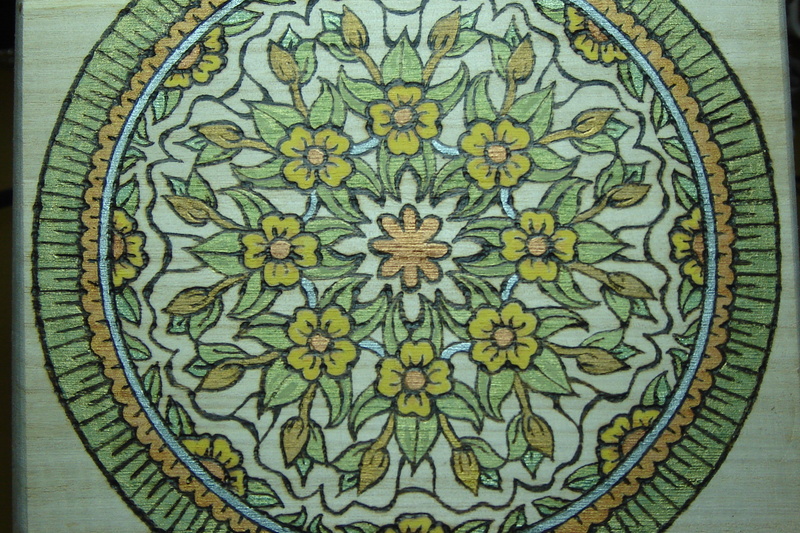 This came from a clip art book I have with a bunch of mandala’s in it. If you don’t know what a mandala is, I highly suggest you Google it…the images will blow your mind!! I don’t use the originals from the book because they’re so pretty, I don’t want to ruin them and may want to use them again. 3. Take some regular graphite paper and trace the image onto the box. 4. This is where it starts to get fun, at least for me. 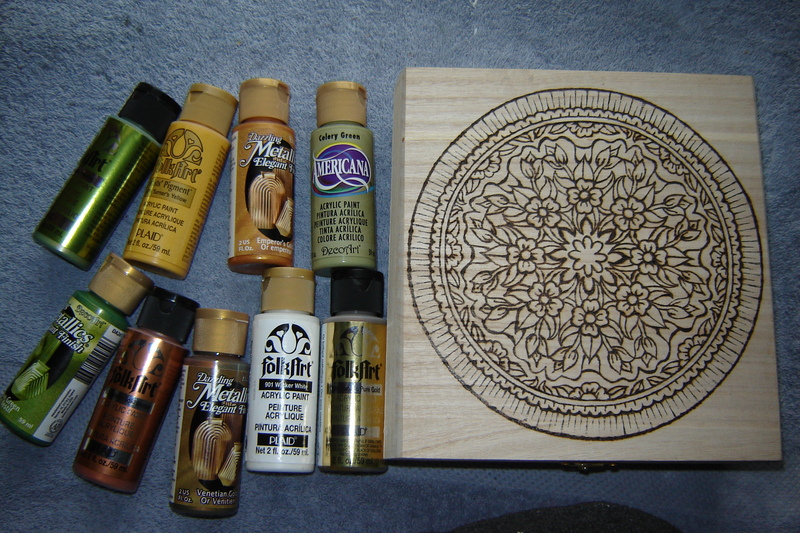 The darkened areas that create the outlines isn’t paint…it’s wood burned. Otherwise known as “pyrography”. Again, Google if you want to get a little more info on it. The applications are endless with the multiple tips that you can get for the wood burning tool. And yes; you can buy them at Michael’s. 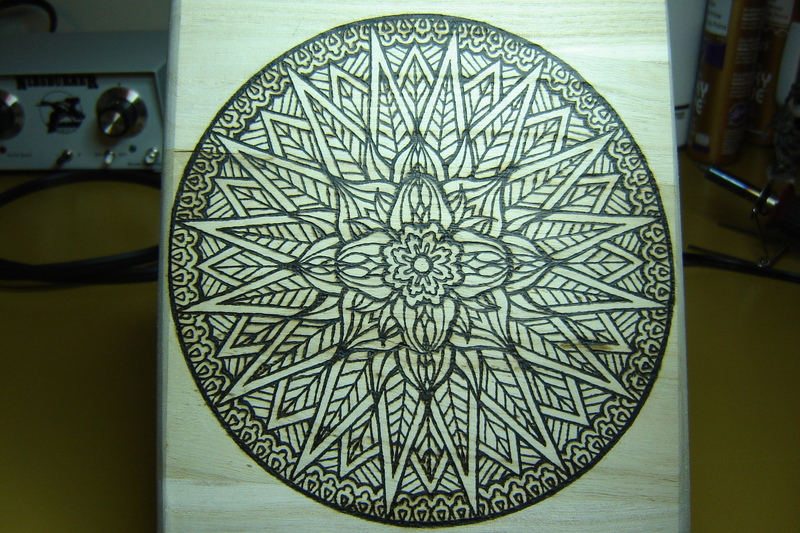 I like using the wood burning technique because I think it adds a beautiful, rustic feel to the piece. 5. 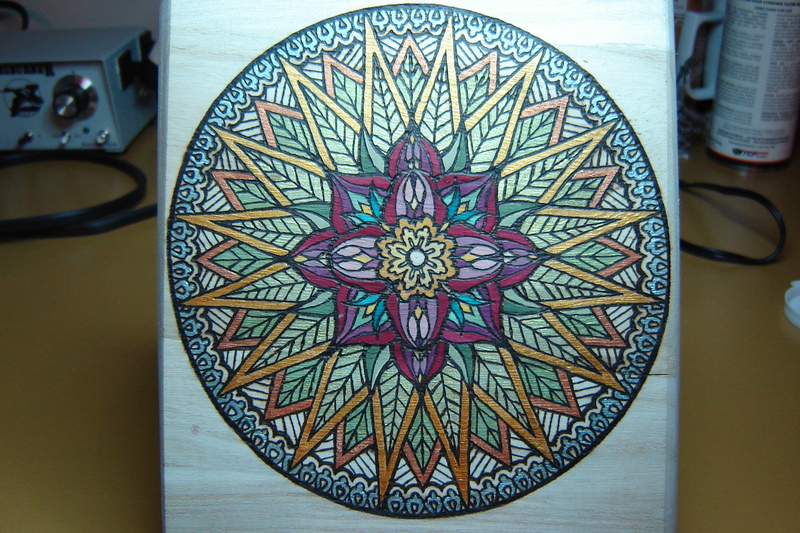 Once the wood burning is finished, I had to decide how I was going to paint it. But I didn’t use regular paint. I don’t think you can tell from these pics but the inside of the flower petals are bronze leafing (real metal). The same as gold or silver leaf. But, this stuff is called “Rubb ‘n Buff”. It’s real metal leaf but it’s suspended in sort of a wax and can be applied with a paint brush. 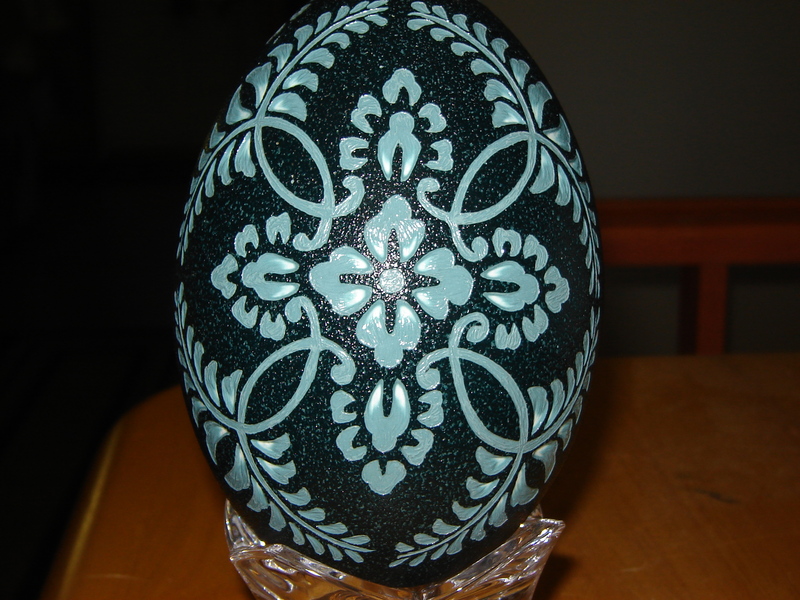 It comes in about 15 different finishes and adds a very nice touch. The rest of the “paint” is actually pigment that…I bought at Michael’s. 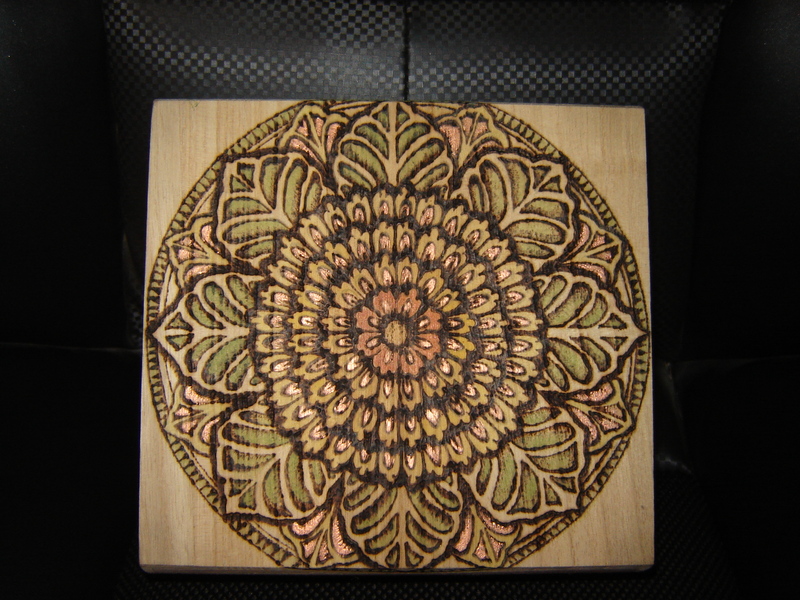 I didn’t want an opaque finish because I didn’t want to overwhelm the wood burning. I watered it down until is was very thin, brushed it on and wiped the excess off with a paper towel. I’m not sure but regular craft paint should work the same way. 6. On the bottom of the box I glued 4 wooden balls to the bottom to act as legs. Yep…got them at Michael’s! The balls have one flat side to them so they can be glued on easily. 7. Once everything is dry, I sealed the whole thing with a matte finish sealant. Hubby thought a shiny finish would look good too. I may have to try that with the next one. Anyway, there you go. One beautiful jewelry/trinket box!! 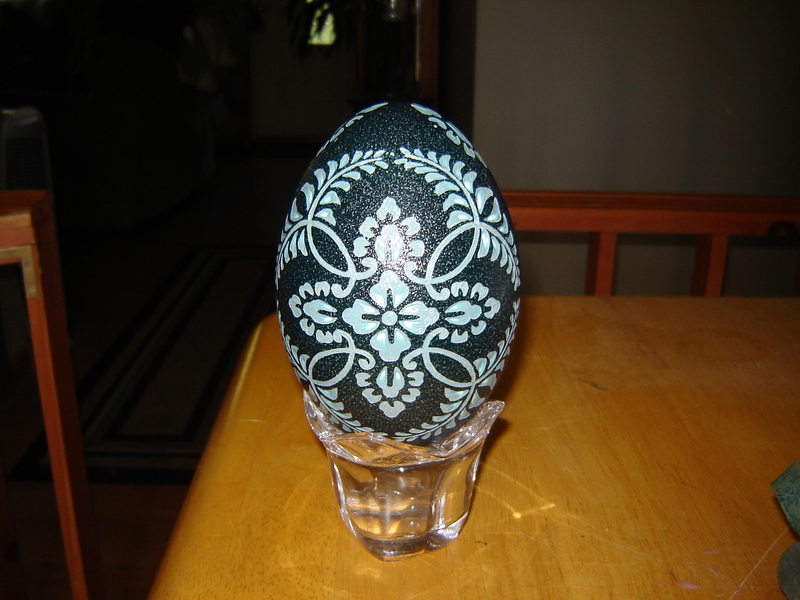 Quick, inexpensive and most importantly for me…quiet to make! LOL!! Thank you all that have been following my blog!! I’m humbled by the encouragement and kind remarks that I’ve received! !